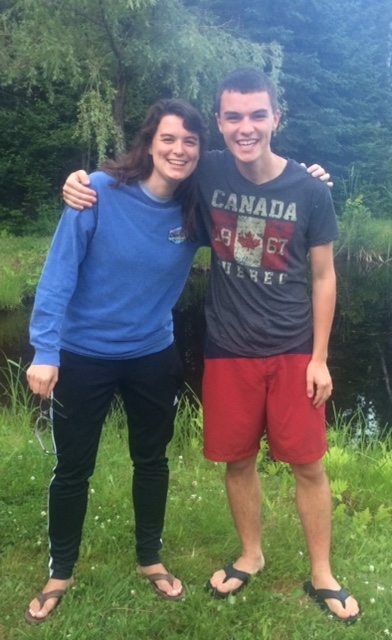 Looking back on "English for Kids" Bible Camp 2017 (in St-Georges de Beauce, Quebec), I think if there was one word that could summarize the entire trip from beginning to end, it would be: grateful. I will tell you why, and there are really many reasons, more then can even be listed or numbered in this brief article or fully expressed by my soul's life song that very much overflows with the joy of the LORD, that He has chosen me to be a lowly kingdom servant. But ultimately, it has to do with God's constant, ever-present, and powerfully transforming grace which he so mercifully lavishes upon us by the Spirit, every day, because "we know that in all things God works for the good of those who love him, who have been called according to his purpose" (Romans 8:28). Every day of camp that verse would resound within my heart and rest deep down within my soul. It helped me to never forget, even when faced with stressful situations or uncertain moments throughout the long, laborious days, that everything would play out just as God ordained, no matter how it might have seemed or felt during the time, there was a reason for every happening, happy or sad. God's sovereignty is such a mystery and yet simultaneously an anchor for our eternal security in Him! When examining the highs and lows of Joseph's life, we can clearly see God's sovereignty displayed in full force. From the time that his brothers sold him into slavery, through the difficulties faced at Potiphar's house, his time in Pharaoh's prison, and serving him, and most amazingly when the brothers discovered God had used what was meant by them as evil for their good, we are to remember our lives should be an incredible testimony to King Jesus's love, similar to the way Joseph's was. He, the perfect, spotless lamb went through a life of continual suffering and endured death on a criminal's cross for the sins of His people. How undeserved is the forgiveness we receive, and yet we get to be a part of the biggest, most important story ever told, that of the gospel, which you and I get to share with the lost people in this world, that many might be saved from eternal death. Wow, what amazing grace our God pours outs! This reality for us as Christians should sow great seeds of gratitude within our hearts, and though we often forget because of our sin nature, I pray that we would never forget to be thankful for each gospel witness opportunity we are given. God entrusts us to share this message, and that thought should bring us to our knees in adoration. By the grace of God, we are able to plant seeds and watch them grow into full grown trees. What a marvelous gift that can only be manifested through the Holy Spirit's power. 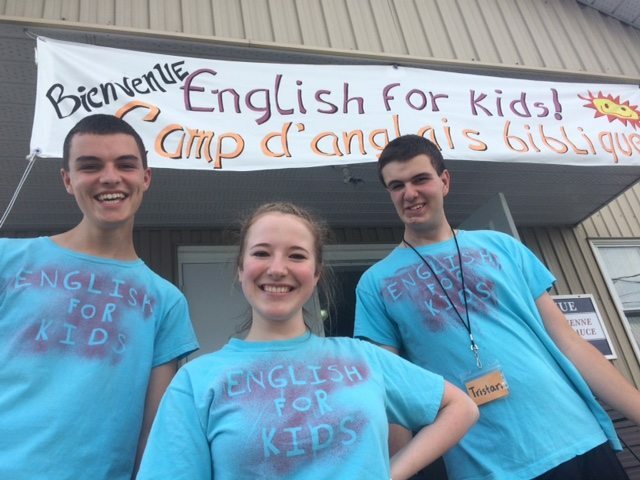 While this year marked my fourth year volunteering at "English for Kids" in St-Georges, Quebec, I am still learning a lot more each year from being a volunteer there. I have been richly blessed by God in being a part of this amazing gospel ministry for the past few years and it has truly been an honor, an undeserved one, to serve both the members of the church and those in the surrounding community. 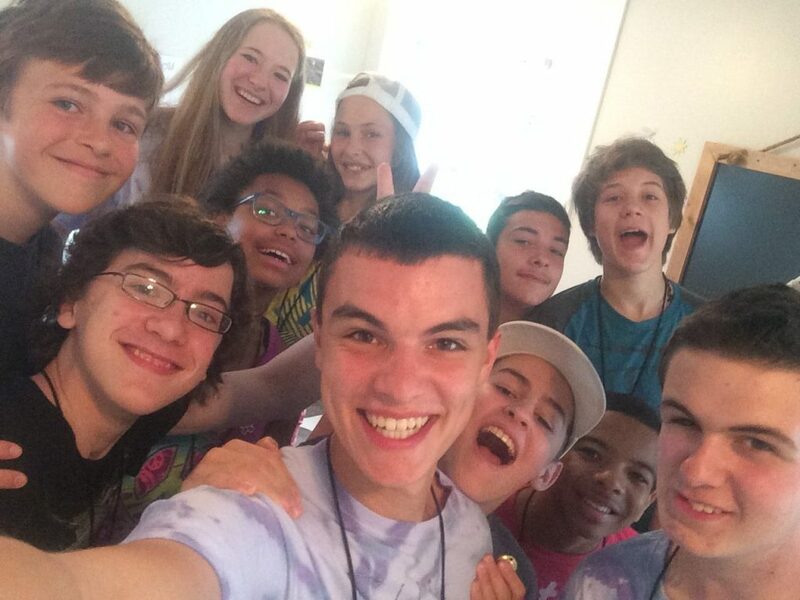 My role this year was being the lead in the play (based on the life of Joseph), as well as being the teen Challenge Group's teacher. Both roles were demanding and left me overwhelmed sometimes, yet I was thankful for teammates who would offer prayers throughout the day and help any time I needed guidance, whether I was about to go on stage or before my classroom sessions. Going back to the word I would use to summarize this year's week of English Camp - grateful - I truly am so, so, grateful, for our wonderful coordinator Olivia Durham, each staff member, every camper, and most of all, to the One whom the sun, moon, and stars bow down to, Jesus, our God and King forever! There is no one like You, Jesus; thank you for letting us be lights, that we may shine for Your glory and Your fame! May our life stories be similar to Joseph's. I pray our life stories paint beautiful, bold pictures that point back to You, Jesus, and the life found only in You. "Man's chief end is to glorify God and enjoy Him forever." May that ever be true for me as a completely unworthy servant and for you reading this little piece of writing, "We are unworthy servants; we have only done what was our duty" (Luke 7:10). Let us witness at all times for the LORD with gratefulness, for His graciousness towards a sinful people is not deserved yet humbly received.